Pools are an extremely popular feature of residential properties in our area. Sadly, there are more drowning deaths in Florida every year than in any other state in the country. For the safety of property owners, neighbors, and anyone else who might use a pool, a fence must surround every pool. The goal is to prevent children from drowning by ensuring that they cannot open gates or climb over fences to access the pool. Here are some of the basic rules regarding pool safety for fencing. All fences around a pool must be a minimum height of 4 feet. All fences, whether surrounding just the pool or the entire yard, must be continuous and not have any gaps through which a 4” sphere could fit. Any fence surrounding a pool may not have a gap of more than two inches between the ground and the bottom of the fence. Pool gates must swing out and be self-closing AND self-latching. The latch height must be at least 54” from the bottom rail. For any aluminum and PVC-Vinyl fencing, there must be a minimum of 45” between the bottom rail and the next one above it. Wood fence must have picket spacing of 2 1/4″ or less. Chain link fence must have fabric (diamonds) with a size of 2 1/4″ or less. Talk to our fencing experts today to learn more about which fencing options will work best for your property, AND meet the necessary statewide pool safety regulations. We want to help you find the right fencing design and material to meet all of your needs. Ready to learn more? 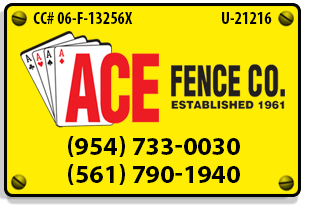 Click here to request a FREE Quote on Pool Fences!